Token2Shell/WP has been updated to take full advantage of Windows Phone 8. The SSH client enables owners to connect securely to compatible devices and servers, using a number of protocols while making use of supported features. As well as being updated for the new version of Windows Phone, the app is also currently available at a discounted price to celebrate the holiday season. 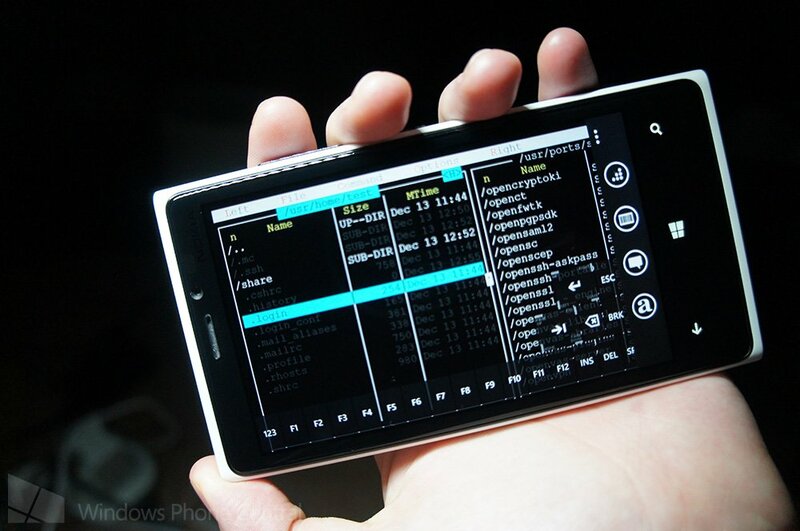 We've previously looked at SSH apps when Windows Phone was updated with the release of Mango. Microsoft is continuing to develop the platform and open up new opportunities for developers to offer new functionality to consumers. It's a win win for end-users, particularly for those who require more specialist focused solutions on the Store. Supports SSH2 and TELNET protocols. Includes Address Book for managing servers and setting up Auto Login. Includes Login Agent for SSH sessions; when it's enabled you don't need to enter your password repeatedly to log into the same server. Login Agent caches login credentials and discards them when Token2Shell/WP is closed or tombstoned (but they are retained while fast-app-switching). Supports barcode scanning using phone's built-in camera. Supports RSA/DSA public key user authentication and Agent Forwarding for SSH connections. Includes a translucent virtual keyboard for entering special keys such as ESC, TAB, arrow keys and function keys. The Windows Phone app is normally listed for $9.99, but is available for $2.99 until January 15th. 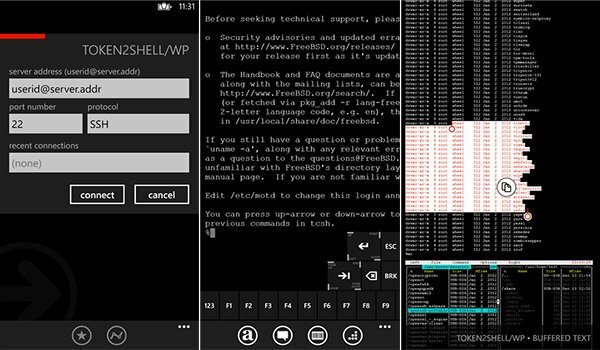 If you require an SSH solution for Windows Phone, Token2Shell/WP is worth checking out especially since a trial is readily available. More functionality for SSH interaction is present, which is documented on the app's website (www.choung.net) and is well worth the read should one be interested in advanced commands and management. You can download Token2Shell/WP from the Windows Phone Store for $2.99 until January 15th and is only available for Windows Phone 8.